Dr. Bennardo and his dedicated team members are constantly working to find better ways to provide the most comprehensive care and treatment for our patients. In order to do so, it is necessary to examine all aspects of a patient's daily life that may be contributing factors to other underlying conditions. Cardiovascular health and sleep are integrally related. Cardiovascular disease is common in people who have sleep disorders and vice versa. Other conditions like hypertension, heart failure, atrial fibrillation, stroke, and even diabetes can be related to sleep disorders. Sleep disorders can also contribute to daytime sleepiness and the danger of falling asleep behind the wheel. The first step is to find out if there are signs and symptoms that lead us to sleep apnea. We begin by asking you to fill out a short Sleep Disorder Assessment form that will determine if you should be further tested with a home sleep study, literally done in the privacy of your own home. This will confirm the presence and severity of a sleep disorder. Once we have a diagnosis and a prescription, we can verify coverage through your Medical Insurance Policy. If you think you have sleep apnea and are interested in being tested or have additional questions, please feel free to contact our office. Sleep Disordered Breathing, or Sleep Apnea, is a disorder where there is intermittent loss of breathe. This is most often caused by narrowing of the airway and/or airway collapse. When you stop breathing, your oxygen levels drop and your heart rate goes up. The decrease in oxygen and increase in heart rate caused by the sudden awakenings put stress on the heart. This can happen hundreds of times per night and has been documented to cause blood pressure to rise which leads to hypertension as well as several other health related problems. Obstructive Sleep Apnea (OSA) occurs when the airway is temporarily compromised or collapsed causing you to stop breathing anywhere from 10 to 90 seconds. Snoring and OSA are both breathing disorders that occur during sleep caused by partial or complete airway closure. OSA is a serious condition and in many cases it can result in excessive daytime sleepiness, high blood pressure, reflux, irregular heart beat and possibly heart attack or stroke. Did you know that you can now take a sleep test in the comfort of your own home? Home sleep tests are becoming the standard method of testing for Medicare and most PPO medical insurance companies. We can partner with your Primary Care Physician to get coverage details and other required documentation. The out of pocket cost for a home sleep test is generally lower than the cost of a lab fee. We also offer our patients the option to take home our device we have in our office. If not done through medical insurance, our office charges $150 to take the device home for a one night study. In order to determine if a patient has sleep apnea, a home test or a polysomnogram in a lab must be performed and analyzed by a Board Certified Sleep Physician. Weight loss and exercise can help lower the severity of sleep apnea. However, most patients require Medical and Dental treatments available including Oral Appliance Therapy (OAT), Continuous Positive Airway Pressure (CPAP), or surgery. Oral Appliance Therapy (OAT) is now the first line of treatment according to the American Academy of Sleep Medicine for mild to moderate sleep disordered breathing. It is achieved with a custom fabricated oral appliance that re-positions the lower jaw, tongue, soft palate, and uvula to keep the airway open during sleep. It stabilizes the lower jaw and tongue and increases muscle tone of the tongue. While documented studies have shown that oral appliances have substantially reduced and sleep apnea, there is no guarantee that it will be successful for every patient. It is often a viable alternate to CPAP therapy. This treatment option is non-invasive and can be highly effective for both sleep apnea and snoring. For severe OSA patients, a CPAP is the standard first line of treatment. 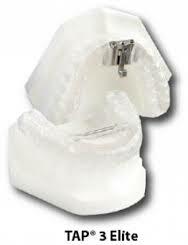 However, if intolerable, an oral appliance can be prescribed by your physician as an alternative. Dental oral appliances can be helpful treatment for snoring, Upper Airway Respiratory Syndrome (UARS), and sleep apnea. Appliances are easy to wear and generally only take a few weeks to adjust to. Patients like the oral appliance option because it is light, easy to travel with, and quiet unlike the CPAP. Deciding upon the appropriate model and type of device will be decided upon between you and Dr. Bennardo. Dr. Bennardo will do a thorough exam to come up with the best treatment option for you. The TAP 3 Elite is a custom adjustable oral appliance that is worn while sleeping. The appliance holds the lower jaw forward, preventing the tongue and soft tissue of the throat from collapsing into the airway. The goal is to prevent snoring and sleep apnea which in turn improves health and the quality of life. 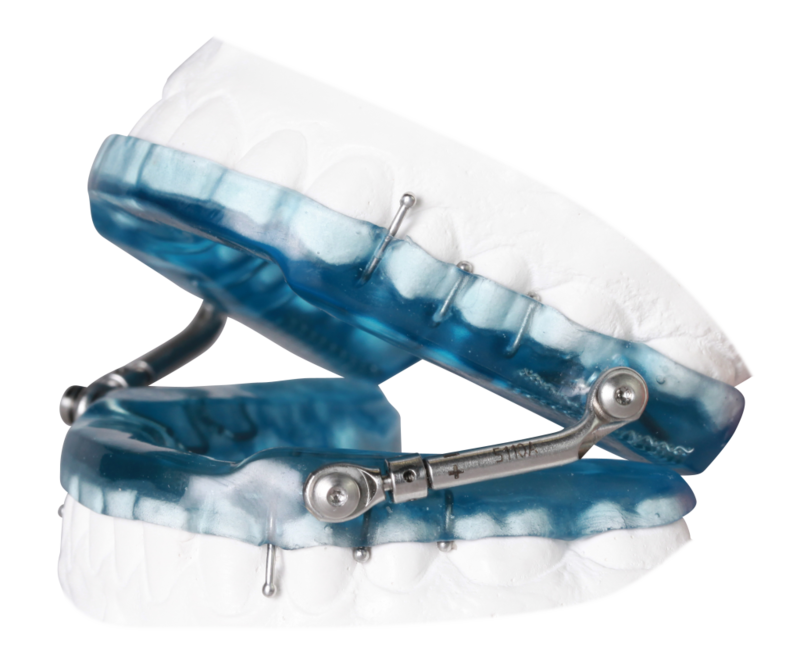 The Herbst Appliance has been proven to be effective treatment for bruxism, chronic snoring and/or mild to moderate obstructive sleep apnea sufferers. 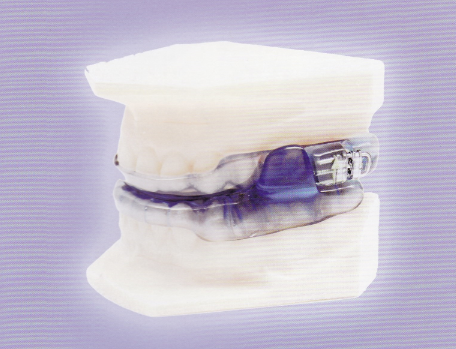 The appliance allows patients to move laterally and vertically without disengaging the appliance. The Dorsal Appliance is open in the front to allow patients to inhale/exhale more breath. It's elastic hook attachments reduce stress on the appliance and in turn provide more overall stability. CPAP therapy is provided by a bedside machine that delivers pressurized air through a tube that connects to a mask, covering the nose. There are many different mask designs available to try. It is important to find the mask that works for you. Surgery is usually an option when other less invasive therapies have failed. Surgery can be an effective treatment option for OSA. However, long term success with surgery has not been demonstrated. Uvulopalatopharyngoplasty (UPPP) is a procedure that removes the excess tissue in the throat to make the airway wider. 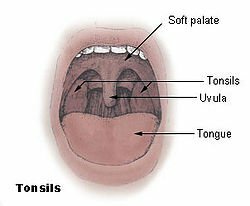 Tissues that may be removed include: the uvula (soft fingerlike tissue that hangs in the back of the throat), part of the soft palate, and tonsils and adenoids. It is imperative to work with an ENT along with a Sleep Physician to determine if a surgical procedure is necessary.